First, I want to thank those of you who have downloaded Air Flight Control. I hope you are enjoying the gaming and coming here to post any issues you have with it, good or bad. Second, I want to bring to your attention a trademark claim by EA/Firemint. When Air Flight Control was first released, it was title Flight Control. 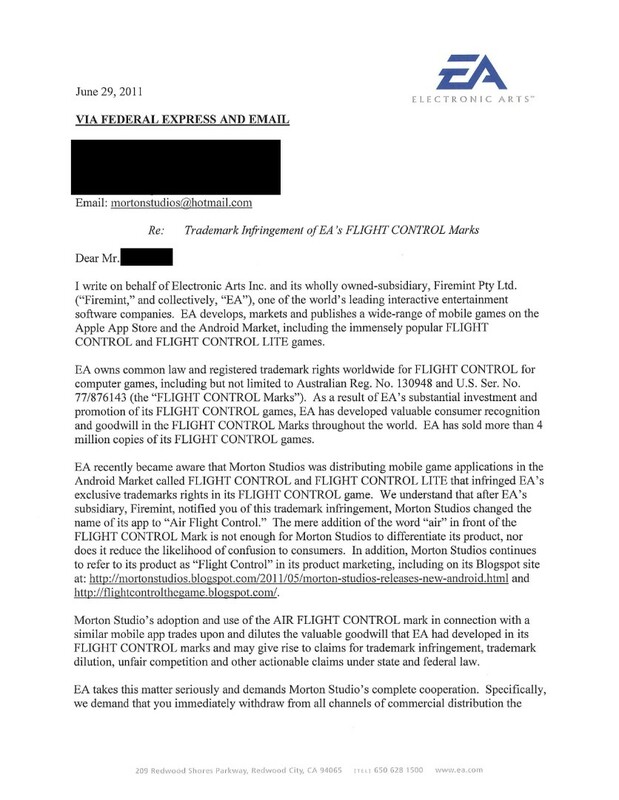 Firemint contacted us to inform us that they felt their trademark for their game (FLIGHT CONTROL) was being infringed. While we did not agree with Firemint, we also felt that we would, out of courtesy, change the name of our game. 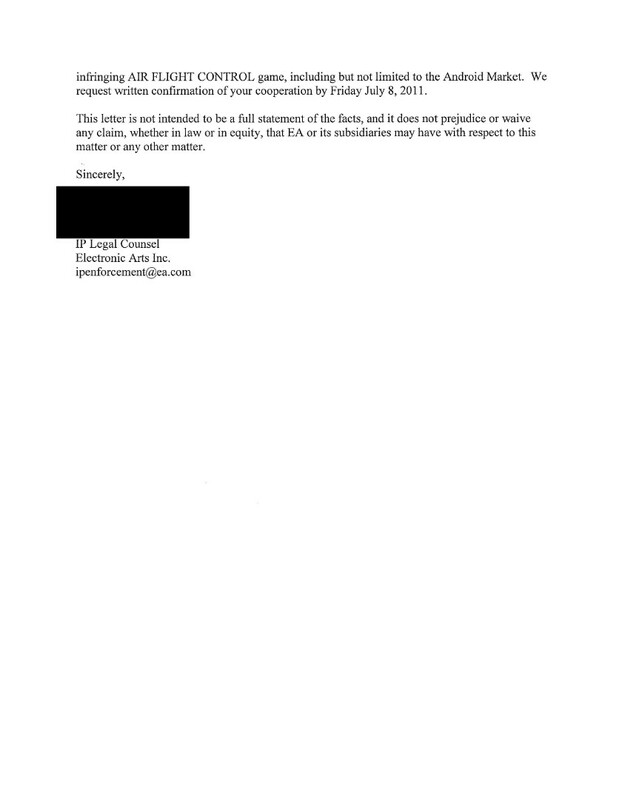 As it turns out, the name change was not enough to please EA/Firemint and their IP lawyers have sent the following letter. We are posting it here for all to see so that they are aware that Air Flight Control is, as the name would suggest, NOT the same as Flight Control.